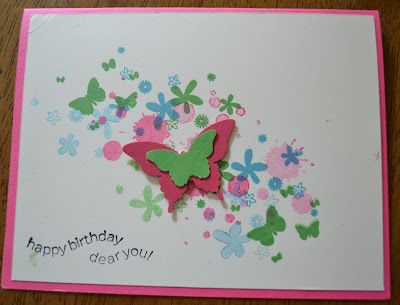 My birthday was last month and I really got some beautiful cards, like this one from Deb BL. This is super fast and easy. You can recreate the layout using most any background stamp and layer any punch in the center to coordinate.